PopSockets have gained a fantastic reputation over the past few years when it comes to increasing the usability of a smartphone or tablet. Simply slap a flattened PopSocket on the back of your phone, then extend it out at a moment’s notice to use it as a stand, a grip to use when video chatting or taking photos, or even to simply wrap your headphone cord around it. There’s only one way that this rock-solid add-on could be even more, well, rock-solid. And that is with Vita Perfetta’s Agate PopSocket! 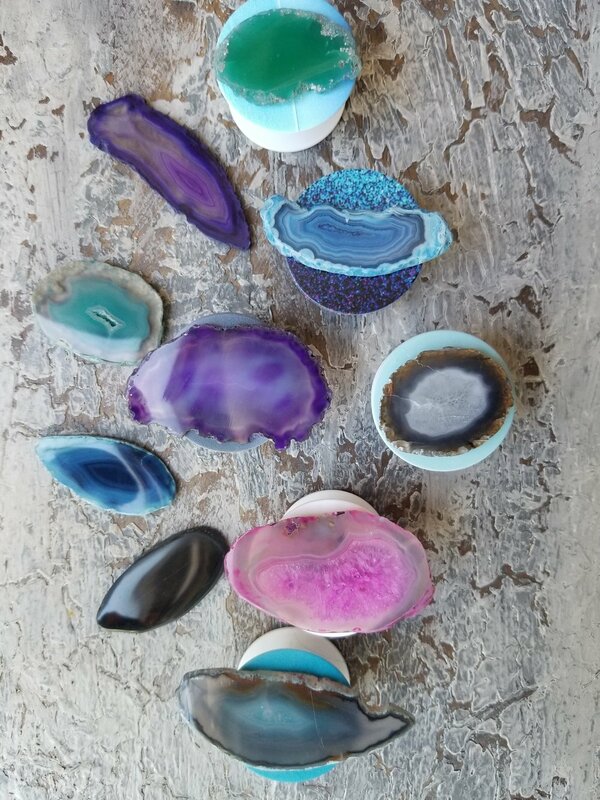 Crystalline colors collide to decorate the cover pattern of your PopSocket with a unique and customizable agate design. 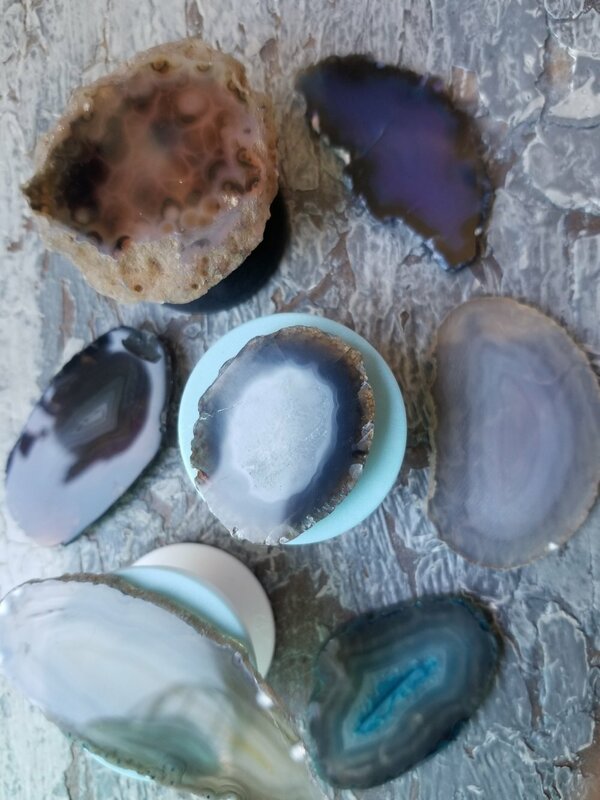 From Earthly greens and deep-sea blues to atmospheric oranges and radiants reds, to mystifying space gray and piercing pinks, carve out your ideal PopSocket scheme, and our staff with put it all together for you! 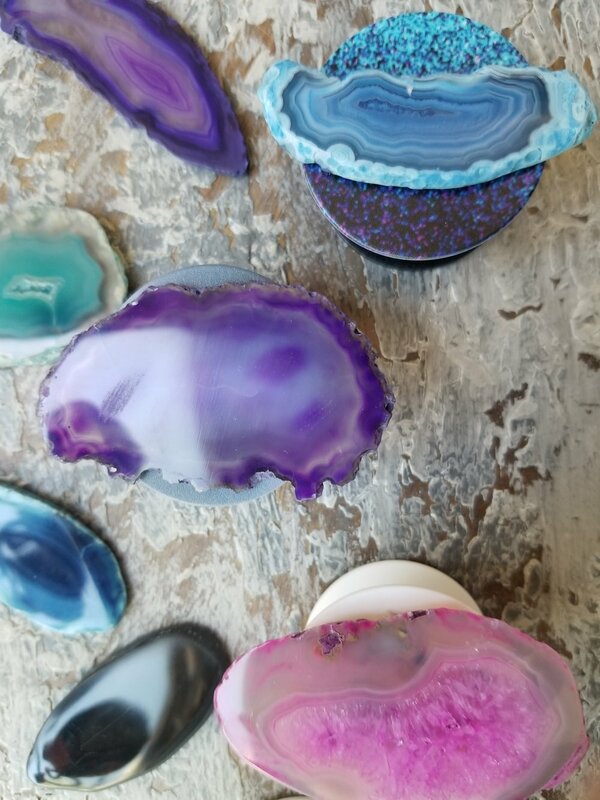 For a PopSocket that totally rocks, try Vita Perfetta’s Agate PopSocket service at your next party!